This traditional Korean music tells a themed story that well demonstrated the nationalistic emotion of both commoners and yangban (aristocrats) where these two different classes and orders by hierarchy can be tumbled down. With a distinct, inimitable sound, rhythm, and singing technique, Pansori is truly representative of Korea's unique cultural landscape. Pansori enjoyed its popularity for its creativity and unique value in showing all sorts of human emotions. 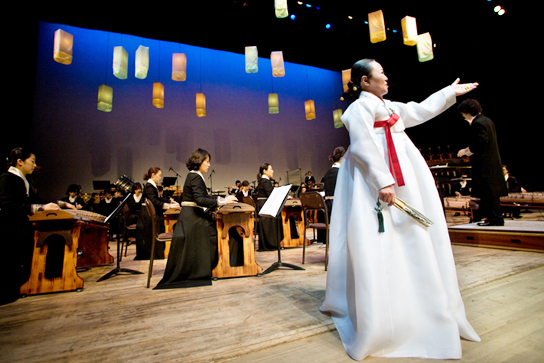 UNESCO proclaimed the pansori tradition a Masterpiece of the Oral and Intangible Heritage of Humanity in 2003.